Nicamap is an initiative of Vapues Tours to promote tourism in Nicaragua through a free tourist map. 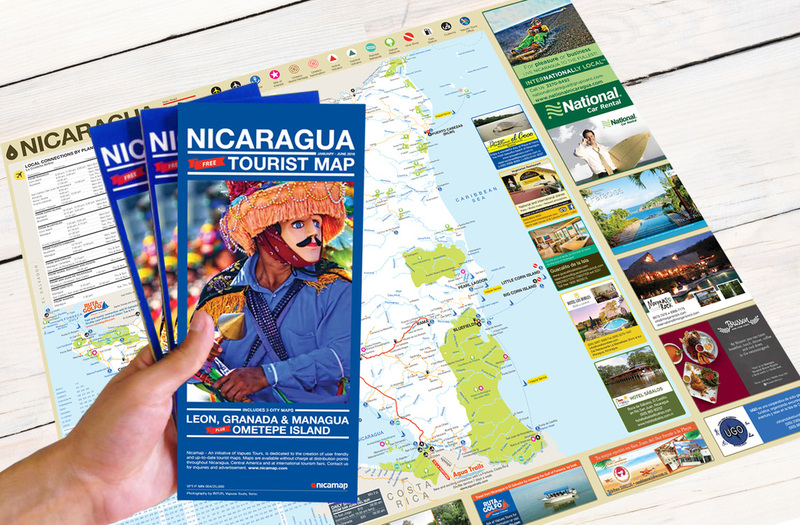 Nicamap includes a large map of Nicaragua and 4 smaller detailed maps of breathtaking destinations: Managua, Granada, León and Ometepe Island. All important information, from transportation and shuttles to restaurants, hotels and tours are well displayed for our customers comfort. ​Pick it up for free at one of the distribution points or preview it here!